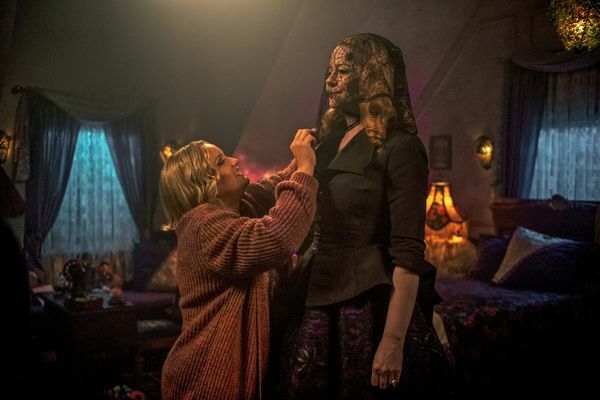 Chilling Adventures of Sabrina Holiday Special Recap: You Better Watch Out Something wicked is lurking in the Spellman house this Yule. 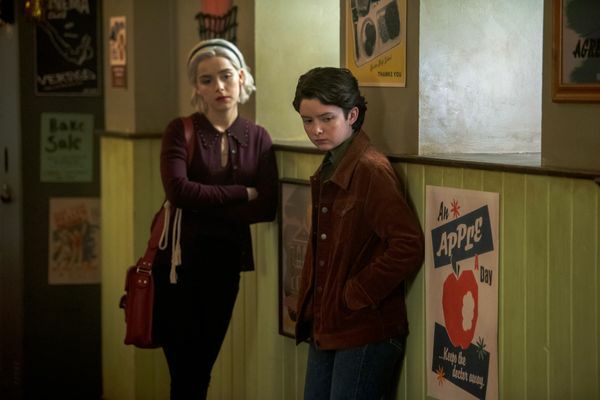 Chilling Adventures of Sabrina Season-Finale Recap: To Hell With It The season comes to a dramatic conclusion that brings some big changes to Sabrina’s life and relationships. Chilling Adventures of Sabrina Recap: Poor Unfortunate Souls The whole Tommy situation starts to spin out of control, forcing Sabrina to make some hard choices. Chilling Adventures of Sabrina Recap: Over Her Dead Body How far will Sabrina go to undo the damage of the mine collapse? Pretty far, it turns out. 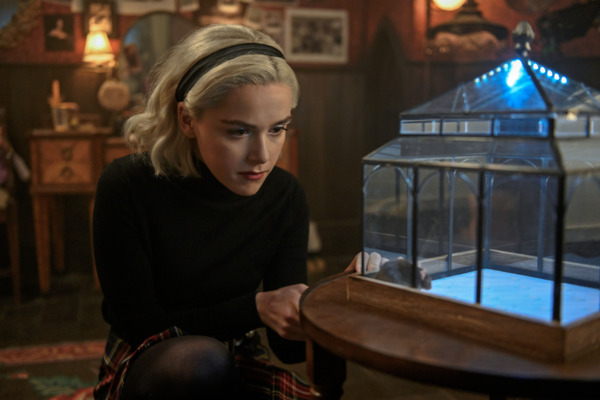 Chilling Adventures of Sabrina Recap: Eat Your Heart Out Sabrina participates in a lottery and learns a gross truth about witch life while the mortals celebrate Thanksgiving. Chilling Adventures of Sabrina Recap: An Out-of-Body Experience Sabrina and Harvey explore the mine while Sabrina explores the possibility that she and Nick could become more than just friends. Chilling Adventures of Sabrina Recap: Slumber Party Sabrina visits everyone’s nightmares and starts to realize she has feelings for Harvey and Nick. What’s a teenage witch to do? 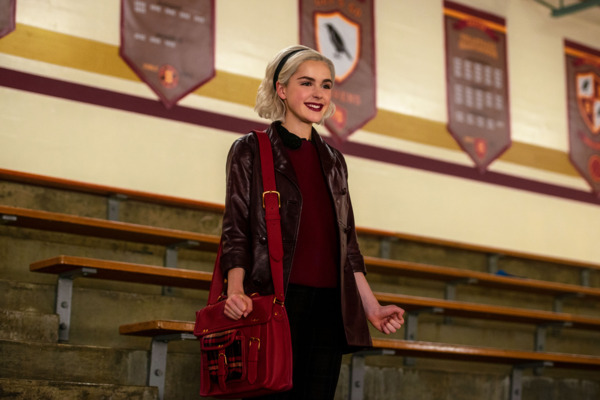 Chilling Adventures of Sabrina Recap: Haze You Like I Should Sabrina enters the academy, struggles with dull classes, and meets a cute warlock boy. Chilling Adventures of Sabrina Recap: Trial and Terror Sabrina learns some secrets about her past and has to stand trial — with some potentially grievous consequences. 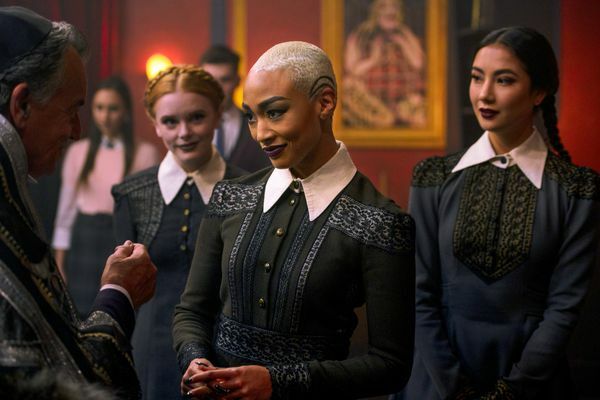 Chilling Adventures of Sabrina Recap: The Devil You Know Versus the Actual Devil Sabrina makes a deal with the Weird Sisters and comes to a decision about her future. Chilling Adventures of Sabrina Premiere Recap: Not a Girl, Not Yet a Witch A classic Archie Comics character gets a darker-tinged revival in which Sabrina must make a tough choice about her future as she turns 16. Chilling Adventures of Sabrina Recap: Watch the Throne Not today, Satan. 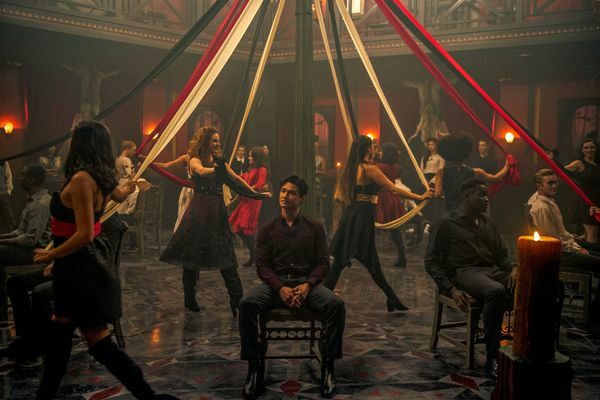 Chilling Adventures of Sabrina Recap: I See Myself in You A delicious episode finally lets Sabrina’s magic get weird and unruly, drawing on the dark side of all the Biblical myths and subverted prophecies. Chilling Adventures of Sabrina Recap: I Believe in Miracles This show’s many disparate threads are finally getting braided together in a way that makes sense. Chilling Adventures of Sabrina Recap: Witch Hunt Father Blackwood and Zelda have been out of town for all of 20 minutes and already everything is going to heaven. 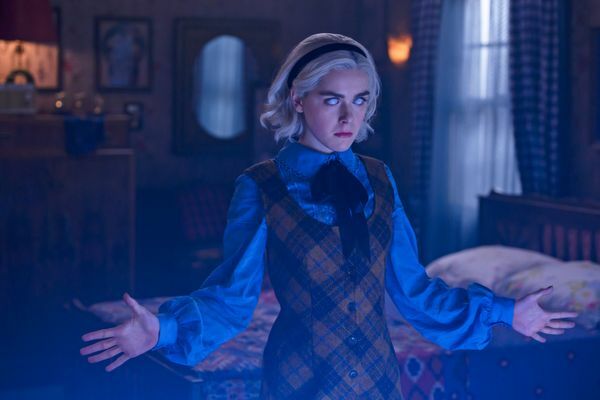 Chilling Adventures of Sabrina Recap: ’Til Death Do Us Part The show burns through several episodes’ worth of plot in a head-spinning entry that raises more questions than it answers. Chilling Adventures of Sabrina Recap: Getting Carded Wardwell pretends to be a tarot card reader to get inside the psyches of the absurdly gullible and suggestible citizens of Greendale. Chilling Adventures of Sabrina Recap: A First Time for Everything In the witching world, as in our mortal one, the reality of Valentine’s Day doesn’t quite live up to the hype. Chilling Adventures of Sabrina Recap: Passion Play The Dark Lord has figured out that the way to Sabrina’s heart is through Nick’s mouth. Chilling Adventures of Sabrina Recap: You Wanna Be on Top? It’s a new year and Sabrina Spellman is ready to take a sabbatical from Baxter High and get down to some real witchcraft at the Academy.